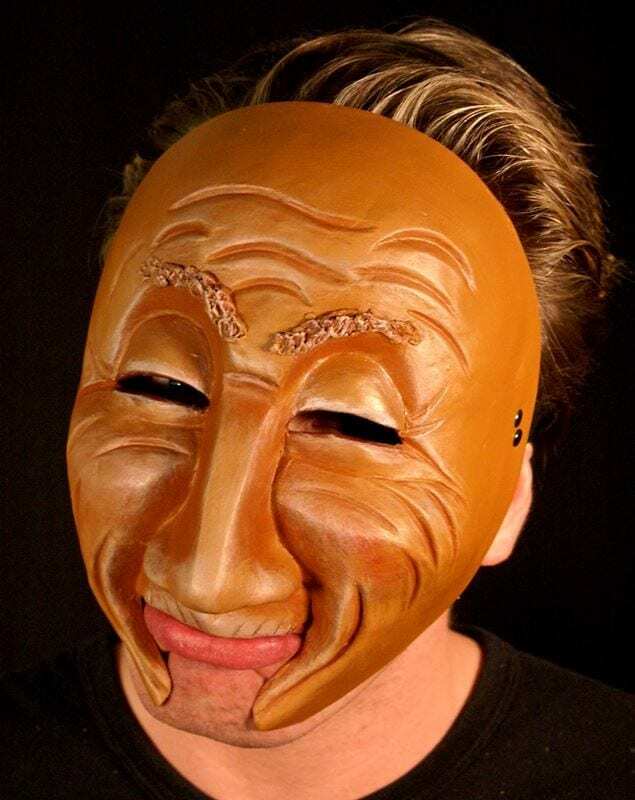 Arie Character Half Mask: Arie tells a lot of stories about when this mask was younger. Admittedly, that was quite some time ago, but the stories still hold up. Notably, the stories are much fresher than those cookies Arie just offered. You might want to avoid those. Arie doesn’t see so well anymore, and cookbooks are… a challenge. 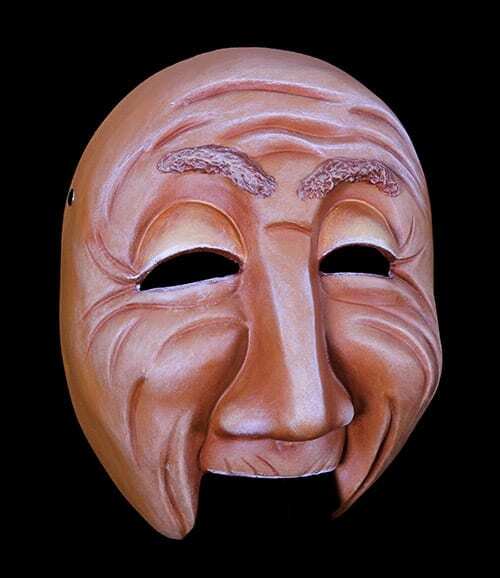 Inspite of ones first impression this mask has a complete range of expression. 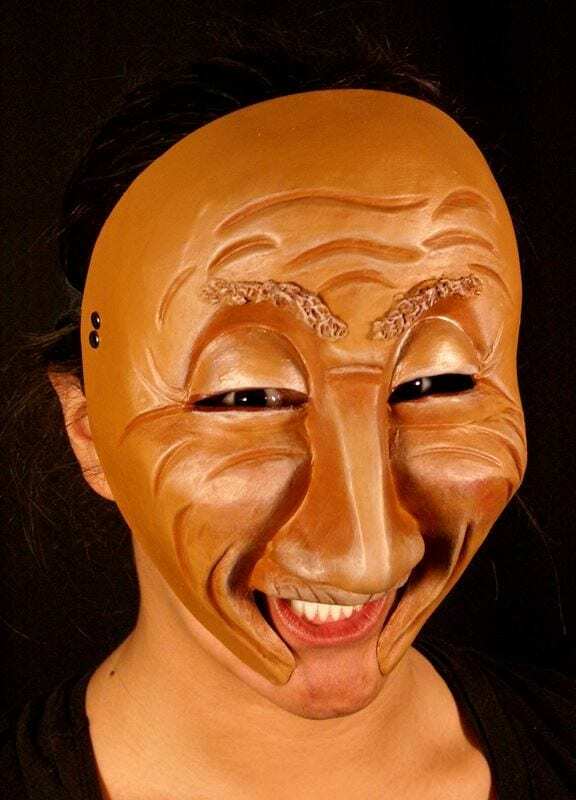 The Arie half mask is a mask of poetry as there is a great juxtaposition in this mask of profound joy and deep sorrow. Arie is a well-made durable mask. Add it to your classroom collection or bring a lovely human moment to life with it in production. For more answers to questions about the masks visit the FAQ page.